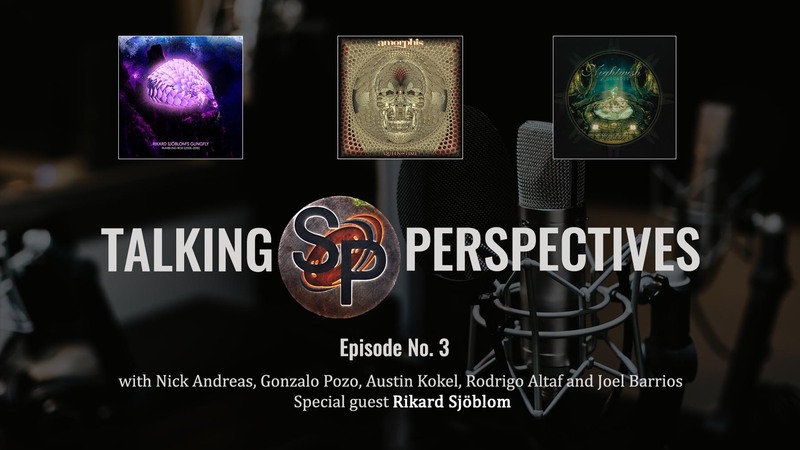 Talking Perspectives is back! Once again some of us here at Sonic Perspectives got together in a phone conversation, where we discussed relevant – recent and past – music releases, and talked about some other meaningful topics related to the music industry. Joining some of the regular cast and crew this week was the focus of our first topic himself, Mr. Rikard Sjoblom. He is one of several InsideOut Music artists who have, or will be releasing career spanning box sets and so we talked about his titled Rumbling Box. Not only did the box set consolidate his past released under the unified name of Rikard Sjoblom’s Gungfly, but as a kicker to current fans the set also included the never before released Arr For Barn Som Tror Pa Sagor Lasa Hogt Nar Kvallen Kommer, or as we affectionately refer to it, disc 5. The upcoming Amorphis album Queen of Time, soon to be released via Nuclear Blast. The latest Nightwish compilation Decades, the band’s past and future, and their current tour.